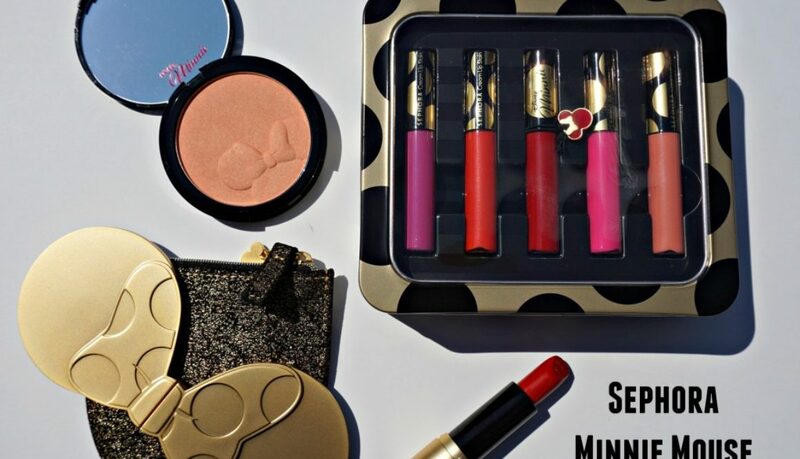 Sephora and Disney have recently collabed to create a makeup collection inspired by the beloved Minnie Mouse. I’m a huge Disney fan so I had to pick up a few pieces from the collection. Check out my swatches and thoughts below. I knew I had to have this blush once I saw the cute embossed Minnie silhouette. In the pan this blush has a beautiful orange color with golden reflects. It swatched more sheer than I hoped but the gold really shimmers. On my skin tone this blush is more suited toward use as a highlighter or layered over a more pigmented blush. 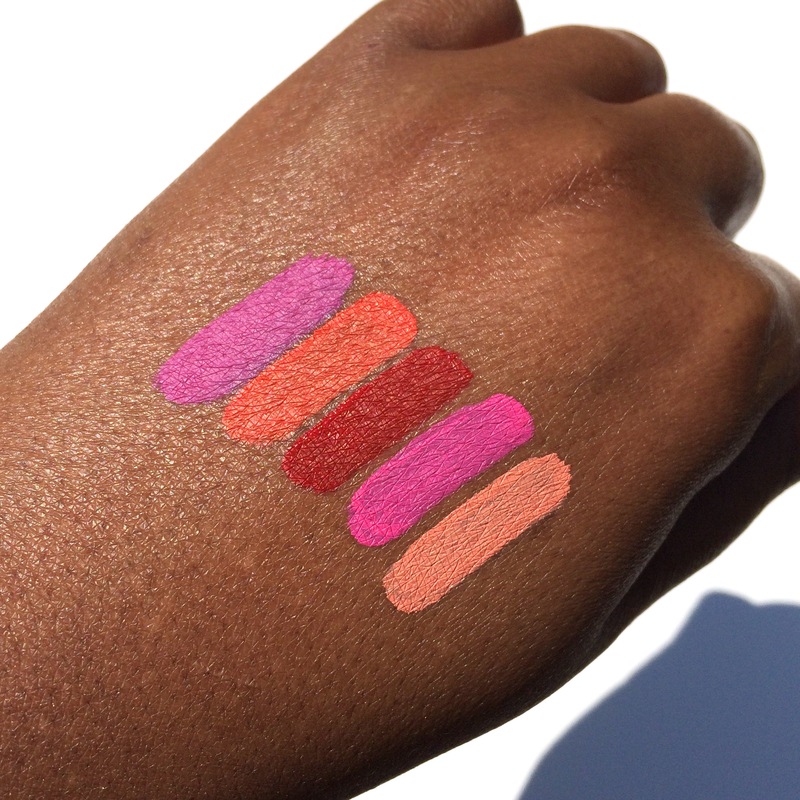 This set contains miniature sized versions of 5 of Sephora Collections Cream Lip Stain permanent colors. The formula is comfortable and long wearing as is to be expected. Overall I’m pretty meh on this set. The colors and the packaging don’t really scream Minnie Mouse to me but if you just want to try Sephora’s Lip Stains then I would definitely pick it up. The lipstick is embossed with the cutest Minnie shape on the top and Minnie’s signature on the side. 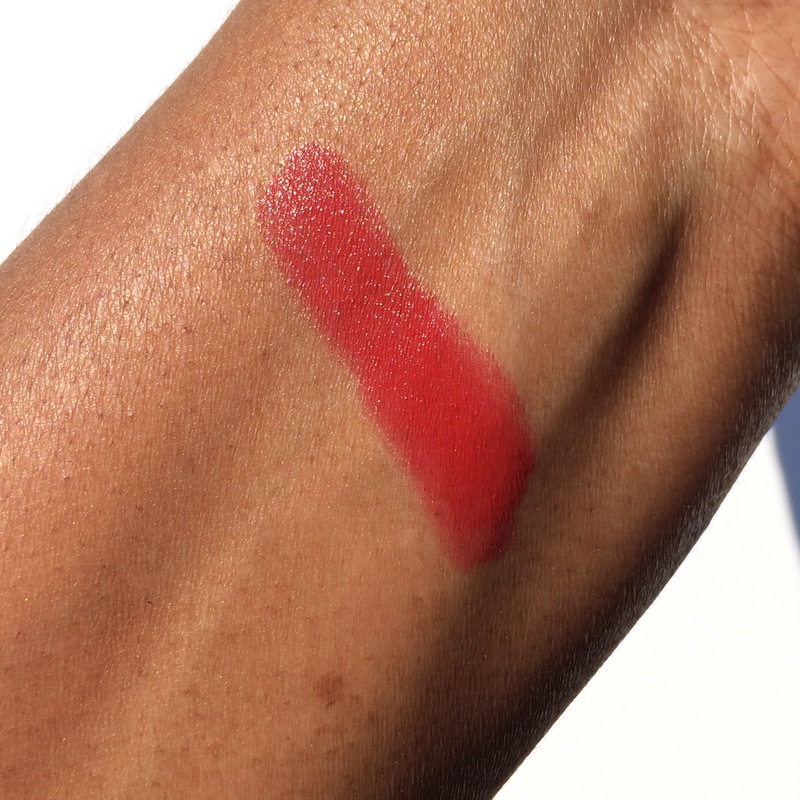 The bright red lipstick is creamy and has a shiny finish. I also picked up the “Reflection of Minnie Compact Mirror” which comes with it’s own protective bag. When opened the gold mirror looks like Minnie’s bow and ears! One side has regular mirror and the other is a magnified mirror to get up close and personal. The mirror is surprisingly heavy and sturdy feeling, I’m sure it will hold up pretty good to the abuse of being in my purse.